Illinois Governor Bruce Rauner will soon sign into law a bill that would expand the state’s medical cannabis program, including adding post traumatic stress disorder (PTSD) and terminal illness as qualifying conditions, his spokesperson tells us. 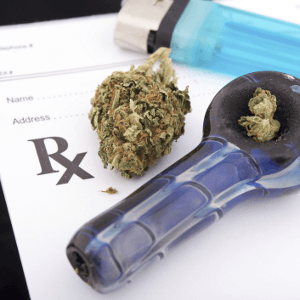 Senate Bill 10, in addition to adding the above-mentioned conditions, would expand the deadline for the state’s medical cannabis pilot program from 2018, to 2020. The new law will also make it so that patient and caregiver cards are valid for three years, rather than just one as the law currently stands, and fingerprints will no longer be required upon renewal. Also, patients will no longer need to receive a recommendation from a physician to become a legal medical cannabis patient, they’ll simply need to get the doctor to verify that they have a doctor-patient relationship, and that they have a qualifying condition. Senate Bill 10 was passed in the House of Representatives 86 to 27, and was passed in the Senate 50 to 7. It will become law immediately after being signed by Governor Rauner.